As expected the new Acer Chromebook R 13 convertible notebook is now available to preorder priced at $400 after being first unveiled back in August 2016. The Chromebook R 13 is equipped with a 13.3 inch touchscreen IPS display offering users a resolution of 1920 x 1080 pixels, and is fitted with a 360 degree hinge allowing you to use the system as either a notebook or tablet depending on your preference. The system is powered by a MediaTek MT8173C quad-core processor supported by PowerVR GX6250 graphics together with a 4,670 mAh battery that is capable of providing up to 12 hours of useful life on a single charge says Acer. Connectivity is provided by support for both 802.11ac WiFi and Bluetooth 4.0 as well as connections in the form of USB Type-C port, a USB 3.0 port and HDMI. 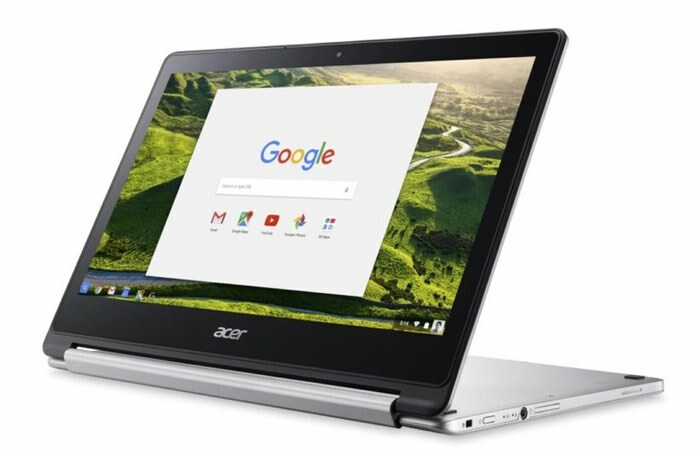 The Acer Chromebook R 13 laptop may not support Android apps at launch, however the system is Google’s list of Chromebooks that will gain support for the Google Play Store and Android apps in the future.